I am still working on the 50 Cupcake list from Food Network. Here is Tiramisu Cupcakes. Who doesn’t love Tiramisu? 2. Whisk flour, baking soda, baking powder, salt and espresso powder. 3. In a separate bowl whisk melted butter, sugar, brown sugar, sour cream, eggs, and vanilla until smooth. 5. Divide batter among muffin cups. Bake until tops spring back. 15-18 minutes. Transfer to rack and let cool 5 minutes. Remove the cupcakes to the rack to cool completely. 3. Frost cupcakes. Dust with Cocoa! I have been making this recipe for years. Not sure where I got the recipe. All I know is your house will smell fabulous while those onions are caramelizing. Way better than any restaurant. Melt butter in large sauce pot over medium heat. Add next four ingredients. Cook over medium heat, stirring occasionally, 30-45 minutes or until onion is browned. Stir in flour and 2 Tablespoons broth. Cook 1 minute. Stir in remaining broth. Bring to a boil. Lower heat and simmer, covered for 30 minutes. About 15 minutes before serving, preheat oven to 375 degrees. Place break on baking sheet. Bake for 5 minutes or until lightly browned. Remove from oven. Rub each side of toasted bread with garlic. That’s it. Simple and very delicious! Enjoy!! Combine all ingredients together and place in refrigerator for 4 hours or even better, overnight. Ciao!! All I can say is Simple and Delicious and under an hour!! 2. 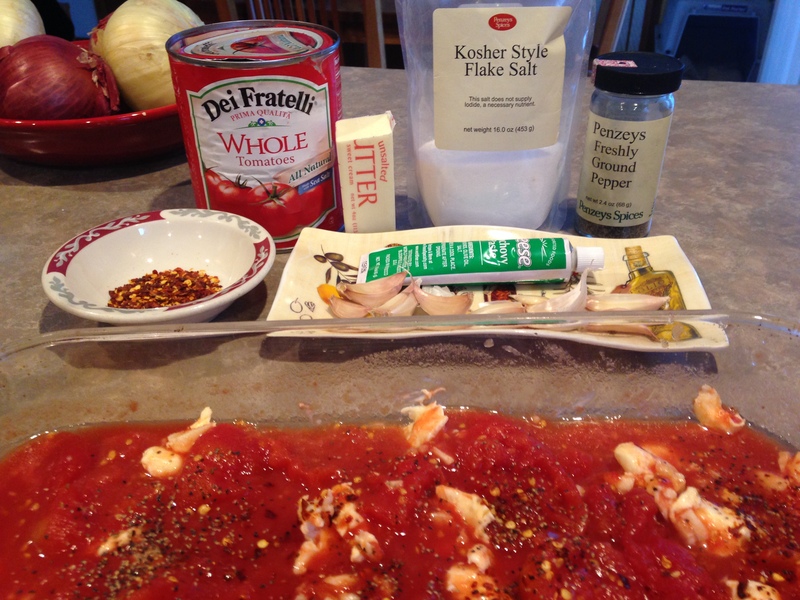 Combine tomatoes (crushing them with your hands), garlic, anchovies, butter, and ½ tsp. red pepper flakes in a 13×9” baking dish; season with salt and black pepper. 3. Roast, tossing halfway through, until garlic is very soft and mixture is jammy, 35–40 minutes. 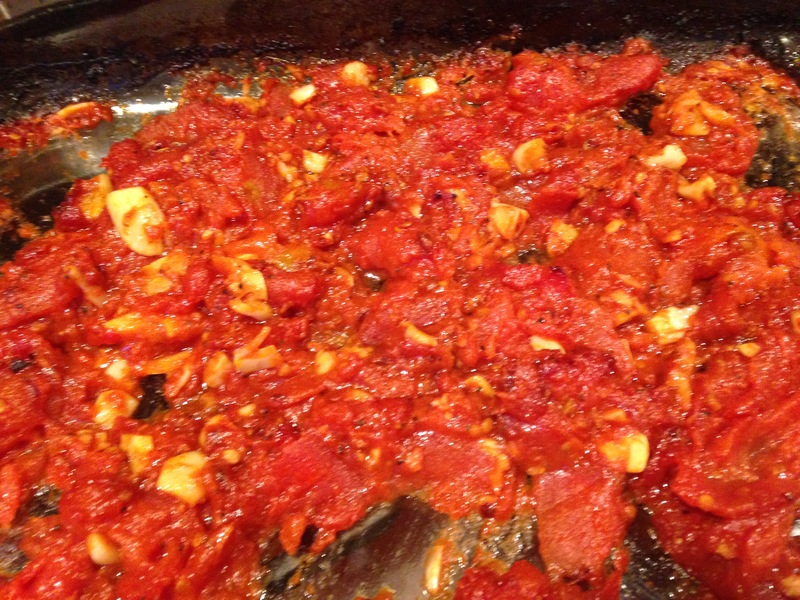 Using a potato masher or fork, mash to break up garlic and tomatoes. 4. While tomatoes are roasting, cook pasta in a large pot of boiling salted water, stirring occasionally, until al dente. Drain, reserving ½ cup pasta cooking liquid. 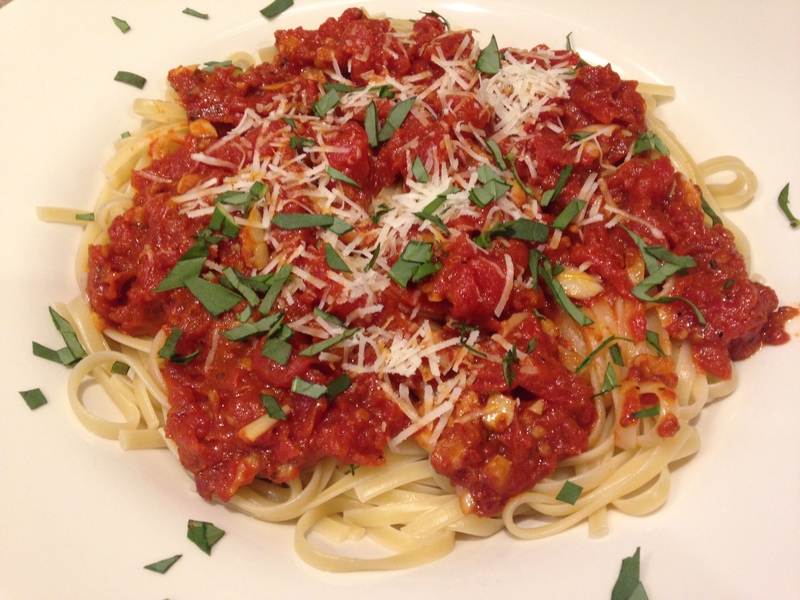 FYI: Tomato sauce can be made 4 days ahead. Let cool; cover and chill. Reheat before mixing with pasta.